This Is Why I Believe In Giving.. Anyway.. one of my best friend gave me these, for my belated birthday prescent. Thank you babe! You're such a doll! Such a pretty bottle, ey! Hey there my lovely readers! It says here, "Kirimkan blog peribadi kamu, untuk kami siarkan di halaman ini. Blog paling menarik bakal menerima hadiah misteri daripada InTrend. Kepada pemilik blog pilihan InTrend bulan ini (dengan paparan bertanda *), sila hubungi kami dengan segera!" Thank you InTrend for choosing me as the winner! 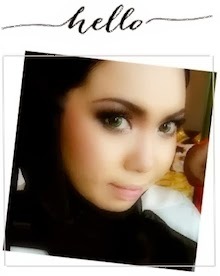 And I feel so honored when I read your descriptions about me and my blog! Heeee. "Fashionista dengan cita rasa tersendiri. Shazwani Hamid bijak mengatur penampilan diri. Saksikan inspirasi pentas peragaan dibancuh dengan sederhana namun bijak sebagai persalinan hariannya. Cuba susuri laporan lalu yang tidak lekang dengan cerita kasut. Menghiburkan! Lihat juga bagaimana gadis berhijab tetap tampil dominant, versatile dan kadang-kadang super loud dengan gabungan seni padu dan padan. Blog yang harus dikunjungi!" P/s: What do they mean when they say 'super loud', ey? What Happens When Shazwani Is Having A Final Examination Week? Remember I made this post few months back when I was in the middle of final exams and stressing out myself? haha. Well..this semester, most of my examination dates are too close with each other..and I've been stressing out myself even more worse than last semesters. Heee. Well, as I mentioned in the earlier post, I've got four papers back to back in this week! And am glad those four papers are now finally over! Phewww..It's a huge relieved for me! I think I have become like a zombie for the past few days! My eyes are not as beautiful as it should be (ha. ha). And most importantly, I did not get enough sleep and rest. Ugh. Wanna know what happens (or rather happened) when this girl is having a final exam week and how she coped with the stress? 6. She will devastatingly open her thick yucky text books and starts to flip through and read those boring words and texts. 7. Since she can't get herself focus and seemed to know and remember what she read in those text books, so she wrote some short notes and jot down some important facts for her to memorize and make her life simpler. 8. But after she completed all the short notes on her A4 papers, she realized..her life isn't that simple actually. Those so called short notes has covered more than half of her queen-sized bed! 9. She realized that those notes that were on those A4 papers (back and front) are impossible to memorize within a short period of time! Not so short/simple now, ey? 10. With the time line that she has, she freaked out even more when she saw those notes that she made. 7 chapters for Consumer Behaviour, 9 chapters for Marketing Research, 14 chapters for Computer Networking and 26 chapters for Internet Applications. Oh. My. Goddd. 11. She got so stress up and can't seem to memorize what she reads, so she took out her note books and started doodling and writing craps. 12. And then when that didn't seem to help, she went to her dressing table and took her fave perfume and started spraying her bed, her chair, her curtains and on herself as an aromatherapy to ease the tension. 13. And then when that didn't work out as well, she'll start to take out all types of her facial masks - be it the cooling ones, the whitening ones, the peel-off ones, the pedih type, the clay or mud type, and so on, to do some sort of facial for herself because she thought this will help to calm herself down..
And then while she leaves her mask to dry up.. she accidentally fell asleep because the mask is so calming! haha. So..that's the story on how she coped with her final examination stress! LOL. Oh, I have another two papers. One is on this coming Monday (29th), an English paper. And another one is on 4th April. Lama lagi. So boleh lepak lepak lagiii and main main facial! Heee. P/s: Adik-adik, jangan ikut tingkah laku Kak Wani ni ye! Heeee. Minggu yang sangat menensyenkan diri. Minggu ni lah paling banyak presentation and assignments!! Pastuuuu... Next MondayTuesdayWednesdayThursday AKU DAH START FINAL!!! Aaaaaa. Bila masa tah nak study? Dah la satu subject ada 14 chapters. Giloooo! Macam mana aku nak study weyyy?!! 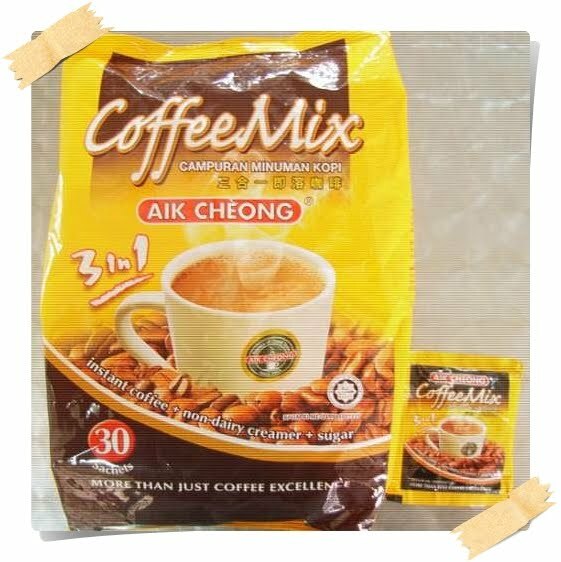 Memang aku peninggg ar minggu ni and minggu depan dowh! Shyteyy la weyy!!! Nasib baik lagi 2 subjects ada gap lama sket. But still, 4 subjects back to back???!!! Wth!!! Never in my life ada exam back to back macam ni. Paling tak pon, 2 hari je. Ni tak..empat terus sekali gus.. Semua yang banyak baca pulak tu. Yeesh. I need all the luck in the world! Last night my sister came to our house..after came back safely from their trip to Beijing for about a week. She brought some souvenirs from China like fridge magnets, some packets of nuts and sweets (dunno what they call it), brooch, tie, etc etc.. But my most fave item is this! 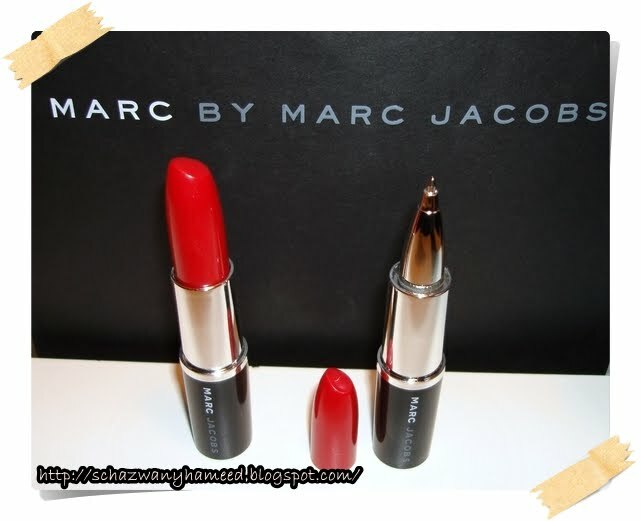 A lipstick pen from Marc Jacobs! What a cute gift, ey? I love this pen! Not only it's cute, (And heyy..it would make a great conversation piece! The moment you pull it out of your fabulous purse, few heads will glance over at you to see what you're holding.. and shout, "Heyy..what a cute pen! Where did ya get that from?" And I'll happily answer, "Oh, it's Marc Jacobs!" haha. Okayy..I'm babbling. ), but it writes really well and smooth as well! Perfect to stuff in my handbag! Lipstick and Writing. Both are my loves. How I wish I could blog every single day! So..here goes my blog anniversary giveaway for this year's! 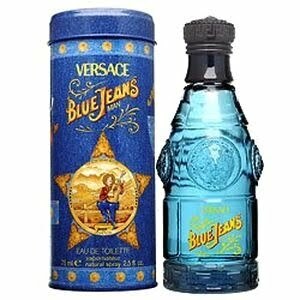 It's Versace Blue Jeans for Man OR Versace Red Jeans for Woman! Each perfume worth about RM 100++. Dua-dua bau best sangat! 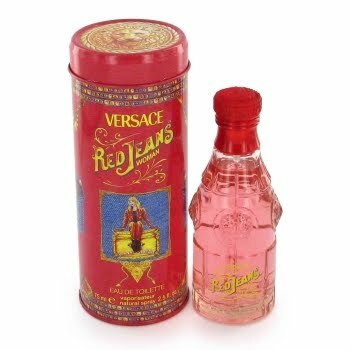 To win this, just drop me a comment with your email and your choice of perfume, either the Red Jeans or the Blue Jeans! Anyone in Malaysia can enter this contest! And I will select the lucky ones! There'll be only ONE lucky winner!! Hurry! Contest ends 11 April 2010!